China Foreign Teacher News, Updates, & Scam Alerts: CFTU Volunteers Joins SAFEA In Planting New "Foreign Experts Forest" in Huairou. CFTU to plant their own forest in Haidian. CFTU Volunteers Joins SAFEA In Planting New "Foreign Experts Forest" in Huairou. 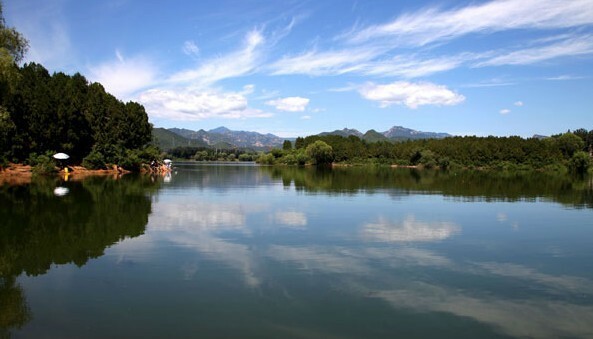 CFTU to plant their own forest in Haidian. BTW... if you are looking for a romantic getaway with your partner or you want to show your kids the last nature reserve close to Beijing (great field trip for students) bring them here to Lake Yan Qi. The Kempinski Hotel will soon open a very modern resort here with a 350 room capacity.